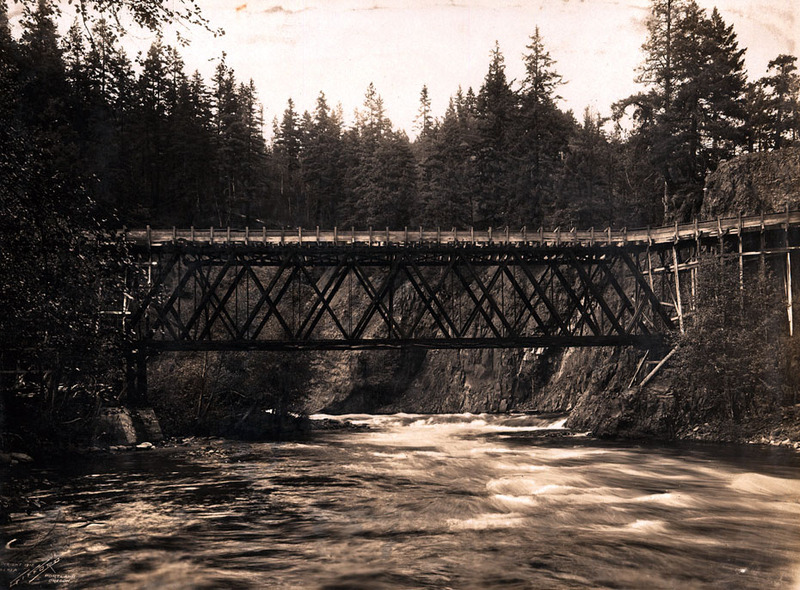 This 1910 Benjamin Gifford image is part of a set of albums which were given to the Hood River Commercial Club by William McMurray, the General Passenger Agent for the Oregon Rail & Navigation Company and Southern Pacific Company Lines. It shows the bridge taking an irrigation canal across one of the branches of the Hood River. I suspect one of you can identify the spot for us. Now days the flume doesn't go around the outside of the that bluff. Mr. Davenport hired labors to come in and chisel a canal through the bluff. "A newspaper article recently discovered in archived files in the procession of F.I.D. indicates that the tunnel was constructed by the Civil Works Administration (CWA) personnel. Per the article, the tunnel was completed on March 23, 1934..."